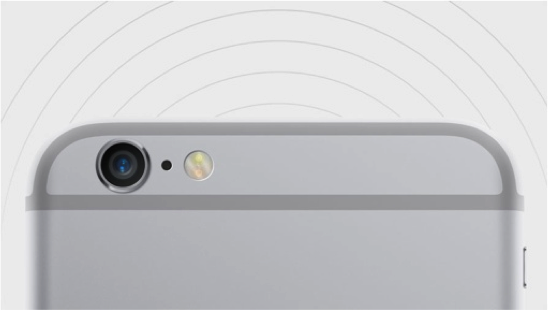 How Long Until Phone Carriers Support iPhone 6 Wi-Fi Calling? Wi-Fi calling, a feature new to the iPhone 6, lets you make calls and send texts through your home Internet network instead of having them routed through cell towers. This saves you from using your minutes and lets you make calls in places your phone signal doesn’t reliably reach, such as your home’s basement. But not all carriers are able to support Wi-Fi calling yet. As of the iPhone 6’s launch on Sept. 19, only T-Mobile had the infrastructure in place to allow Wi-Fi calls. That’s part of why the company created its Wi-Fi Unleashed deal, which bundles iPhone 6 purchases with a free (with deposit) 802.11 AC router that prioritizes data from the phone. When will the other carriers catch up? None of the other big three have set Wi-Fi calling launch dates, although they’ve given a few hints about their future plans. Here’s what to expect and when to expect it from the other carriers. Verizon’s major focus remains voice over LTE (VoLTE), which routes calls and texts over the company’s network as data rather than via analog signals. It’s a smart strategy, actually; Wi-Fi technology seems unable to seamlessly move calls to standard cell networks without dropping them. VoLTE could be the key to making Wi-Fi calling work as advertised. We’ll know for sure some time in mid-2015, when Shammo says Verizon will launch Wi-Fi calling support. AT&T, another carrier with strong nationwide coverage, has also made Wi-Fi calling a lower priority. AT&T officials indicate Wi-Fi calling is not really needed, especially given AT&T’s current lack of support for VoLTE. According to Ralph de la Vega, the CEO of the company’s mobility and enterprise unit, Wi-Fi calling will come to AT&T some time in 2015. Unlike the Verizon and AT&T networks, Sprint’s network is notoriously spotty, especially outside of major metropolitan areas. The good news is that company has already rolled out Wi-Fi calling for Android-powered smartphones. The bad news? Sprint doesn’t yet support Wi-Fi calling for the Apple iPhone 6 and has yet to announce plans to do so. We’ll keep an eye on the carrier’s service and let you know when it finally hits the switch — hopefully, soon.